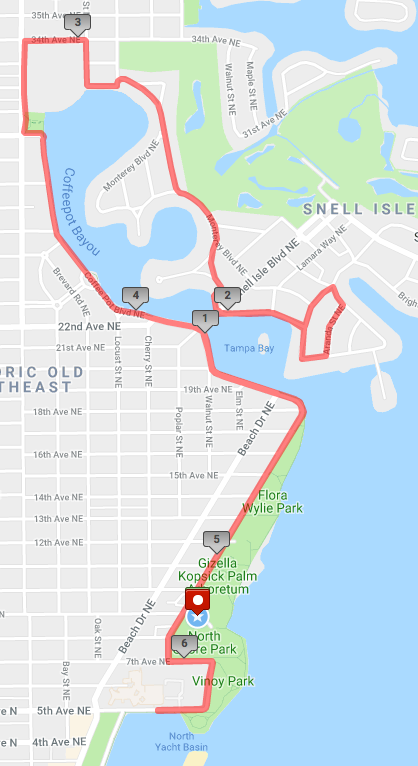 With four competitive timed races from 3.1 to 26.2 miles, we have something for everyone during a winter weekend on Florida's beautiful gulf coast, and so we invite athletes of all abilities to join us at the St. Petersburg Distance Classic. With multiple options for virtual athletes, we encourage athletes anywhere in the world to participate at their own pace on their own course to earn their finisher medal. 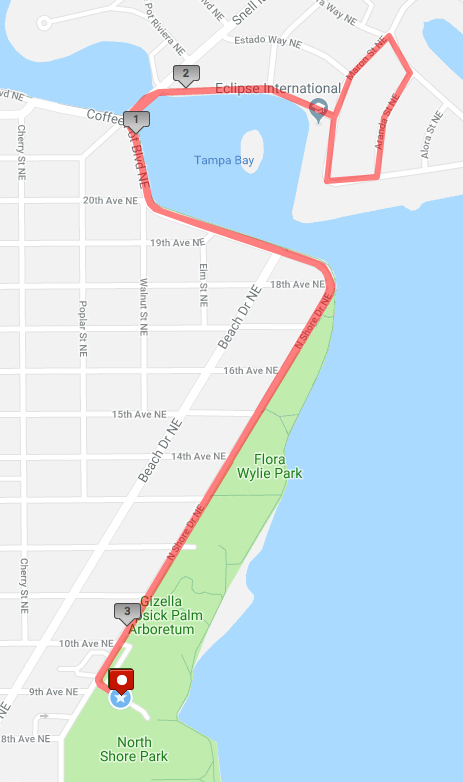 All races will start near the North Shore Park and showcase the most wonderful waterfront on Florida's west coast at sunrise. 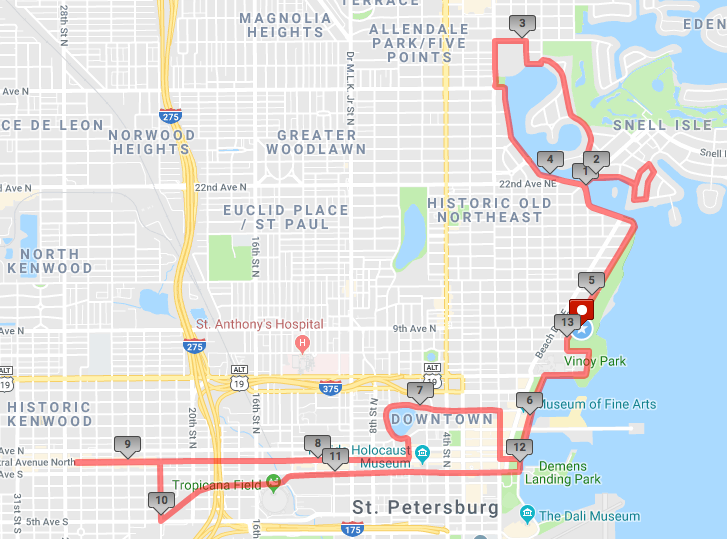 The Marathon and Halfathon courses also work their ways through St. Petersburg's beautiful downtown. 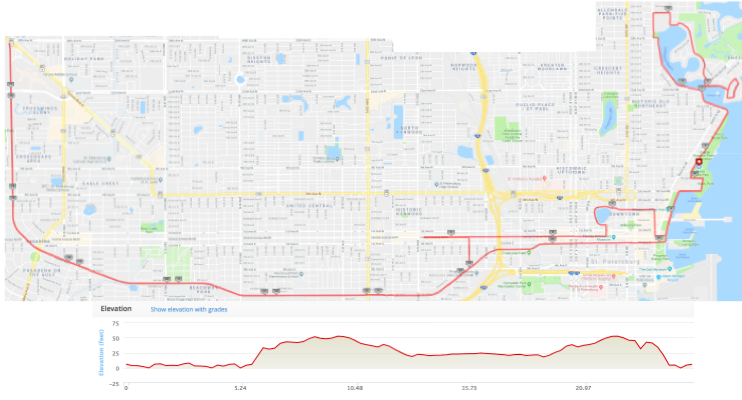 All courses are scenic, accurately measured, USATF certified, and extremely flat. As all USATF certified marathon courses are Boston Qualifiers, our marathon may be used to secure your spot in the 2021 Boston Marathon. ALL finishers earn gorgeous medals featuring our unique running starfish in an appropriate St. Petersburg theme. Athletes can expect the same level of high quality, well-organized events we have become known for over the last 20 years, along with a post-race celebration second to none. Walkers are welcome in all our races. 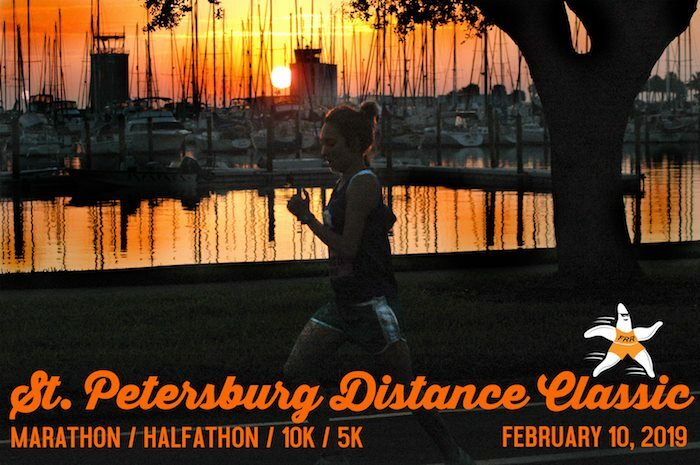 To receive a refund, deferral, or credit, you must register before November 9 for the St. Petersburg Distance Classic events and notify the race director by email (not Facebook) before January 19. All refunds will be issued after the Shamrock Halfathon, on or about April 1, 2020. THERE ARE NO TRANSFERS OF BIBS TO OTHER ATHLETES. You may not give or sell your number to another individual. The other individual will not be covered by USATF race insurance if there should be an injury. The other individual's results may compromise scoring as they may be in a different age bracket than yourself. They will be disqualified. You and the other individual will be prohibited from running in our races for 3 years.